With the rise in difficulty mining cryptocurrency, I have downsized my mining operation. The cost of electricity to run my mining rigs combined with trying to keep them running at a reasonable operating temperature has slimmed margins even more. I decided to power-down two of my rigs about a month ago one of which was an eight card AMD RX580 8GB rig. I decided to turn one of those rigs into a gaming computer to play Fortnite on with my kids. 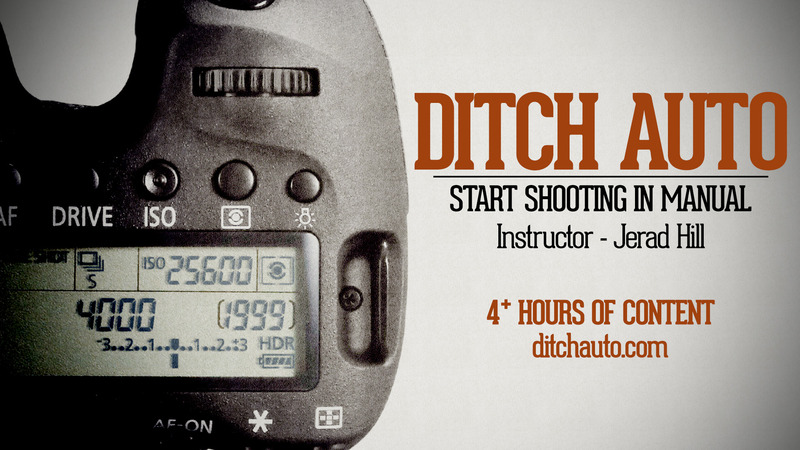 Make sure to check out the parts list below the video. Hey what’s up it’s Jerad with State of Tech and in this video we’re gonna convert a mining rig into a gaming computer so we can play some Fortnite. Now, miners, or people who have gotten into cryptocurrency mining get hammered by people who are into gaming because of the issue with all of the purchasing, thus price hikes on the GPU’s, of course the price hikes have gone away and GPU pricing is returned to normal and mining the buzz and the hype is kinda over. But my story in the short and you’ve probably seen mining videos of mine in the past, I built a couple mining rigs, I had a course on how to build a mining rig and I still am doing a little bit of cryptocurrency mining but there are just instances where some aspects of mining are just not as profitable as they once were. The more people that get involved, obviously the less of demand for processing power and so, it gets a little bit more challenging. Plus I live in central northern California where it is currently going to be 100 degrees for the next couple of months and cooling the systems gets to be quite challenging, so over the winter time, fall, winter time and spring, profitable because I can run these rigs 24/7 but now that it’s getting extremely hot, I have to pick and choose how I’m going to run my rigs and how that’s gonna work out. So I still am mining, I’m just mining on a smaller level through the summer time so I thought while I have this hardware sitting around, let’s a build a gaming PC out of it. So what you’re looking at right here is a mining rig that I took most of the GPU’s out of, there was six GPU’s across the top here and I had two kinda side card GPU’s to make for an eight card mining rig. I’ve got the two PSU’s here, the two power supplies so that I could power up to eight GPU’s, we’ve got the motherboard over here. So basically what we’re gonna be doing is taking the motherboard out, we’re gonna take this GPU and one of these power supplies and we’re gonna put that into a traditional PC case so that we can do some PC gaming. The reason that I’ve wanted to do that is simply so my kids who I’ve been doing a little bit gaming with lately, we have an extra computer to work from. Gaming on a laptop sometimes is kinda of a pain because of the smaller display and the dissipation of heat and stuff like that so we’re gonna go ahead and build another gaming PC. So I’m gonna go ahead and dissemble this and then I’ll talk a little bit more about what we’re gonna do and then we’ll go ahead and assemble it into a PC case. Let’s get started. All right so we have the main components pulled out of the mining rig frame. There’s still one PCU in there which we don’t need for this build. So let me talk about what we have sitting here. So we have an MSI Z270A Pro motherboard and it has an I5 processor in it. Now typically you don’t need an I5 processor to have in your mining rig but I ended up using it because I had it, it was another computer that we had upgraded to an I7 and so the I5 quad core here is gonna be a great processor for a gaming PC. Then we have a RX580, this is an X effects graphics card here and the RX580 is a decent gaming graphics card. Now this isn’t gonna get us super high end results, but it’s gonna be fantastic for 1080p gaming at moderate to high frame rates and quality. So we’re definitely going to be checking out how this all performs in Fortnite and we’ll probably run a few benchmarks as well just to satisfy our taste buds. Next step is gonna be to go ahead and put this into a case. We’re also going to be using just a standard SATA 2.5 inch hard drive. We have 8 gigabits of RAM on here which I typically would like to go with 16, so this is ballistics ram here, this is 8 gigabits. This is 2666 megahertz and it should be good enough for some moderate gaming. Of course 16 gigs would be preferred, I do have 16 gigs worth of RAM but I actually just want to see how well we can get by here, so that’s probably a thought that I will follow up with either in the comments below or maybe at the end of this video depending on how things work out. So let’s get the case up here on the table and get this PC put together. So I haven’t messed with this case before, this is a Core [Serra 00:04:34] case, it’s a little bit more of budget one. Of course I’m going to make sure to link to everything that I’m using down in the description below for you, just in case you’re wondering what is the exact parts that I used, about the prices and all that stuff so make sure to check out the links in the description. What I am going to do because there is one case fan and there is one case fan here, I don’t need this hard drive bay necessarily, I can mount another way basically that 2.5 inch hard drive. I don’t need this entire bay. I would rather have another fan and so basically I’m gonna be doing a push through system, like a push pull system so the air’s gonna come through the front and it’s gonna be pulled out the back. I’m not gonna have enough room to really do anything more then the single fan in the back and there is no mounting capabilities on the top of this case for additional fans. So I think what we’re gonna do is actually just remove the CD, DVD drive bay here and we’re gonna remove the hard drive bay here and we’re gonna see if we can’t get maybe even a couple fans in there just so that we can have good air flow. So upon further inspection, all we’re gonna be able to do is add one more fan without doing a little surgery. The CD bay up here is all riveted in, there are rivets in several different locations and while I could drill those out, I just don’t really feel like getting that carried away and to be honest, all I would really be able to fit is a small fan up here anyways, so I think I’m just gonna go ahead and stick with adding the one additional fan and call it good. So now I’ve got the case prepared, I’ve got an additional fan installed, I’ve decided I’m not going to use the fan controller switch on the back of the PC, I have only three fans, I might as well plug them all into the motherboard and let that be. I can set custom fan curves and all that stuff. I don’t need to necessarily deal with this rickety little switch on the back of the case, I’m not super confident about it and I feel like that might be a point of failure. So we’re gonna go ahead and get the motherboard in and start getting some of the components and installed so let’s jump into that. All right so I’m about done, we’re ready to button this thing up and fire it up and I’m going to have to format the hard drive, get Windows reinstalled or just kinda deal with some of those basic things because this was completely configured to run as a mining rig and it was configured to run not in Windows but actually in Linux. So just to recap what we have here, we have a Core Serra case and EBGA 750 Watt G3 PSU, we have an XFX RX580 GPU. We have for the CPU an I5 quad core, put the specks down below. We’ve got a thermaltake cooler on the top of that. We have a 120 gigabyte hard drive, which is not a very large one but it should get us by for simple gaming as long as we don’t install too much stuff on there it should be good. We added an additional fan, so we’ve two fans that are actually going to pull air in through the front of the case and push it out through the back of the case. We basically maximized as much room as we would have here for fan installation and that’s gonna do it. So we’re just gonna go ahead and throw the panel on. Now, you may have saw me get out the manual for the motherboard, I was hooking up the power buttons and all that stuff. Some of those on basically every single motherboard have a slight different configuration and so I wanted to make sure that those were connected properly because this motherboard in particular does not have an actual power button on it, so you have to run your power cable to it otherwise you’re not gonna be able to get your system to power on. So this was particular easy build, converting it over from a mining rig. This motherboard is a pretty simple motherboard, we’re gonna go ahead and get it hooked up to some peripherals, get it hooked up to a monitor and get Fortnite installed. We’re gonna see exactly what kind of performance we can get out of it and I’ll be right back with that. 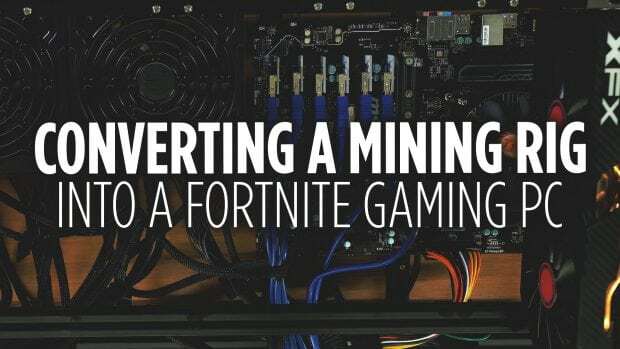 All right so I got the PC up and running and I’ve played a round of Fortnite, so there are a couple things I needed to do and if you are going through the same process of taking a mining rig and converting it to a gaming PC, here’s some thing’s that you need to do. So if you had RX580 AMD GPU’s in there and you were running the correct everything, you’re gonna need to uninstall the display drivers and actually install a normal version of AMD’s drivers. So AMD has drivers that are mining specific and you want to get rid of those otherwise you’re gonna have some issues. The other thing you’re gonna need to do is actually flash the bios of your GPU back to stock. The bios mods that work for mining don’t necessarily work well for gaming. It makes the experience unstable, even after I ran updates and tried to do everything possible, the last thing that made it work was just simply to go and flash the bios back to stock, that’s something that I’ve been telling people to do whenever I would tell them about the process of setting up a mining rig is always save your stock bios but of course if you don’t, there’s stock versions available you can kind in forums online. So with everything running in setup, of course I’m just on a 1080p monitor and I have high settings on pretty much everything. 60 frames per second, anything better then that on this monitor which is kind of a cheap monitor that I actually got for free when I bought this GPU, just an RX580, so this is ASUS monitor isn’t that great and going above 60 frames per second in high settings isn’t really … You aren’t even really going to notice anything. So I really did get a good experience out of this set up of course. 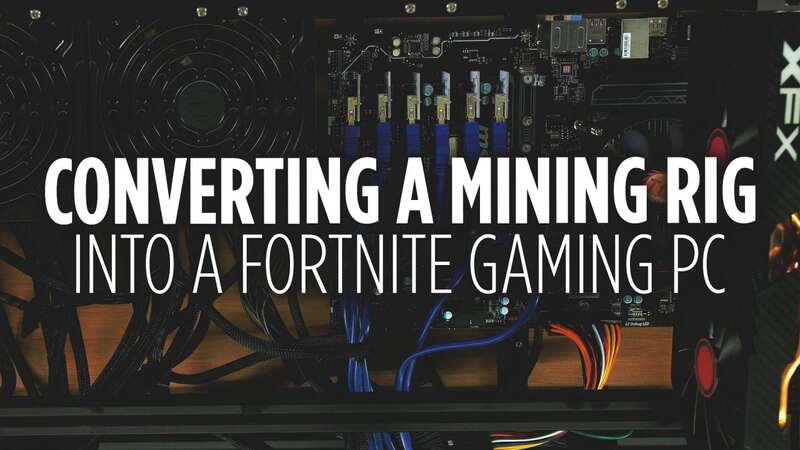 Taking a mining rig which doesn’t have the top of the line stuff, and converting it over to a gaming PC and playing some Fortnite on it. So if you have nay questions or thoughts and you want to ask them down in the comments section below, I’ll do my best to answer them. I figured it would just be a good benchmark as everybody’s playing Fortnite and I don’t really want to get to carried away into the benchmarks because it’s only I5 quad core processor. It’s only 8 gigs of RAM, it’s only an RX580, even though it was one of the better RX580’s, the specs are pretty basic on this system and it’s actually a pretty affordable system. So check out all the links to all of the components here down in the description below, I’m even using a Amazon basics keyboard here which definitely gets us by on the budget build. So let me know if you have any questions or thoughts down in the comments, click on that subscribe button if you liked it and make sure to head on over to Instagram, follow us there so you can check out some stuff we’re gonna be putting up on IGTV, so that’s it. Take care and we’ll see you next time on the next one.